Longtime collector W.G. 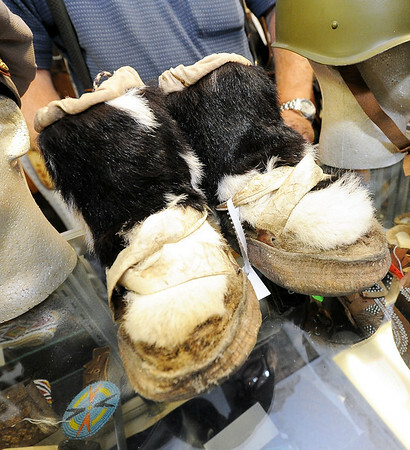 "Trip" Triplett, of Circle T Collectibles in Carl Junction, holds a pair of mukluks believed to have been crafted by eihter Inuit of Tlinglit Indians on the Northwest coast around 1880. Triplett began collecting Native American and military artifacts 71 years ago and has countless items at his store and his home.